Thanks, Mail Carrier | Cut the Calories from Sugar with Splenda #SweetSwaps! 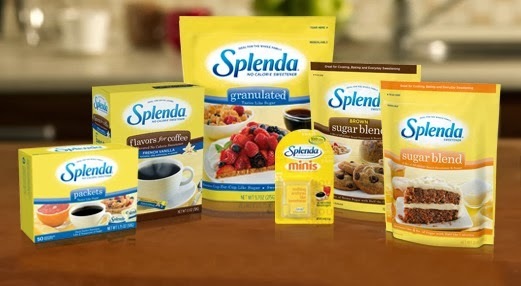 Cut the Calories from Sugar with Splenda #SweetSwaps! When it comes to having a "sweet tooth," there are a variety of different views and opinions from researchers and studies performed over the years. One idea is that there are actual sweet-receptor genes that can predict a preference for sweets. On the other hand, it has been said that the human brain senses which foods are high in calories and therefore rewards people by releasing hormones to make them happier (and wanting more). Whichever theory is true (or if it is actually a different one entirely), my genes or my brain are definitely on board. You have sweets? Give me sweets. Sweeeeeeets. Unfortunately for my cravings, however, experts recommend women consume no more than six teaspoons of added sugar a day...yet the average American eats 22 teaspoons daily! Most of us even vastly underestimate the amount of sugar we eat because the sweet stuff is hiding in some of our favorite foods and beverages, like vanilla lattes, fruit flavored yogurt, salad dressing and cereal. I know that there are people out there that manage to cut sugar from their diet, but I couldn't handle a drastic change like that. Instead, I am happy knowing that just about anywhere I love to enjoy sugar, I can instead love Splenda No Calorie Sweetener! A no-calorie sweetener that can be used as part of a healthy diet to reduce the calories and carbohydrates from sugar that you consume, Splenda first made its way into our house when I began reaching for a single yellow packet each morning for my coffee. This unique substance starts with sugar and is converted into a no-calorie, non-carbohydrate sweetener... resulting in something that tastes like sugar, but without its calories. No calories and no carbohydrates but with the same sweet flavor? Count me in! However, while I've always used Splenda to sweeten my morning brew, I've also been interested for quite some time as to where else in my life it could help to eliminate excess sugar from my diet. 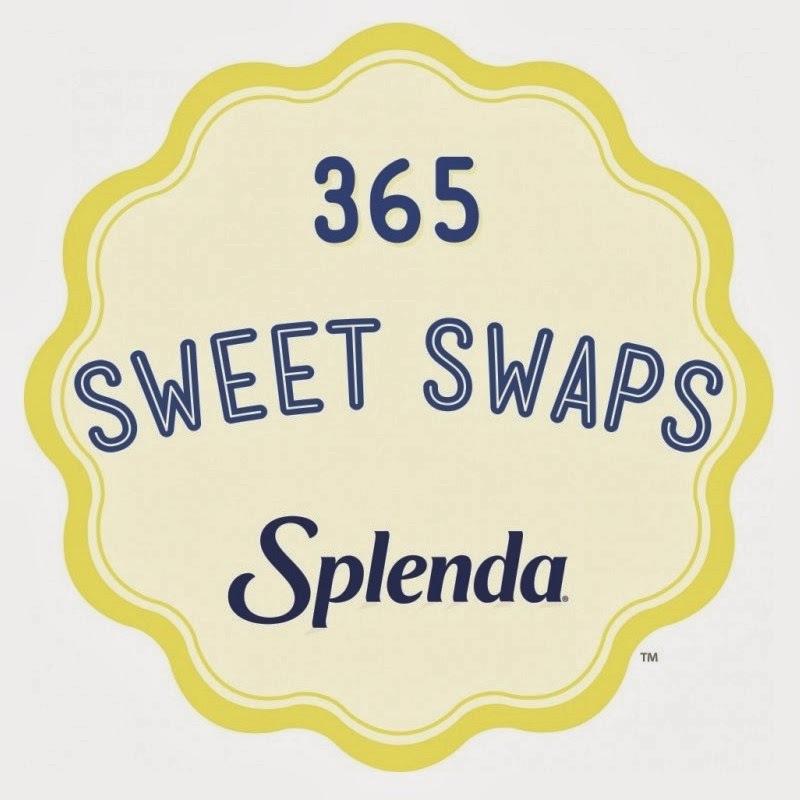 Splenda has easily answered that query (and more) now that they are dishing out 365 ways to swap sugar for Splenda Sweetener Products at 365SweetSwaps.com. 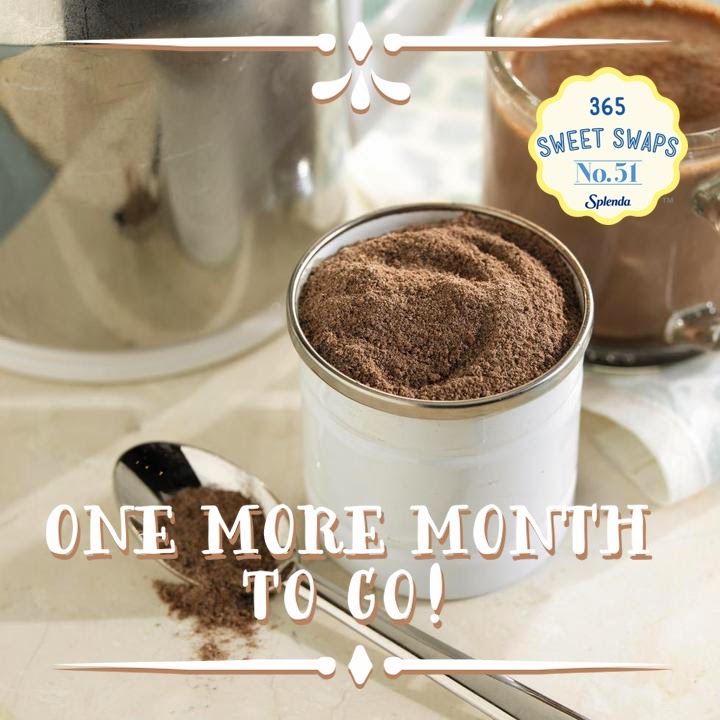 Filled with tips and recipes to help you save calories from added sugar all year long, I love that the Sweet Swaps site makes it so simple and easy to incorporate Splenda into more areas of my life. ...and their variety of salsa recipes have my mouth watering. Pass the chips! 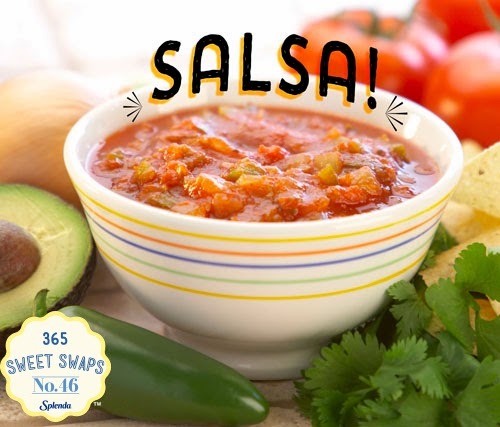 Along with all of the great tips and ideas at 365SweetSwaps.com, Splenda has a whole collection of great recipes on their website to turn to in order to lessen your family's calorie intake in 2014. What will you make next? With so many great ways to swap sugar for Splenda Sweetener Products, it's time to celebrate! Join The Motherhood and Splenda for a #SweetSwaps Twitter Party filled with tips, recipes and other simple lifestyle changes that can lead to big results over time! Prizes: Prizes will be randomly awarded to five participants who answer the trivia questions correctly. Each prize includes a $50 Visa gift card and an assortment of Splenda Sweetener Products (prizes limited to U.S. participants only)! I hope to see you next Tuesday! In the meantime, be sure to visit Splenda.com to find out more about their full line of products and head over to 365SweetSwaps.com to be inspired in all sorts of ways to use them! Disclosure͗: This post is part of the SPLENDA® 365 Sweet Swaps™ Blogger Program by McNeil Nutritionals, LLC and The Motherhood, who sent me products and compensated me for my time. Opinions, experiences and photos shared here are my own, and I hope you enjoy them. I'm not that big of a sugar lover. I'm happy drinking water or tea with a bit of honey. I use stevia for sweetening things since it's just a plant, not chemicals. I am a happy Splenda user and I have been for quite some time. They have some great Sweet Swaps listed on their website, I can't wait to try the Mix Ahead Hot Cocoa. Thank you for this review. I've been a Splenda user for years. Love it in my tea, and it works well for baking, too. I haven't checked their website for new recipes in quite some time. Thanks for the reminder!